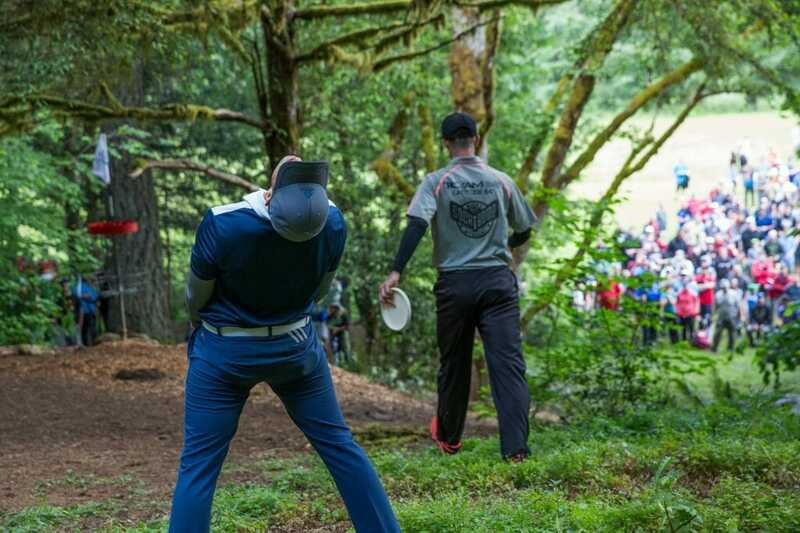 The last time Ricky Wysocki and Paul McBeth were in a playoff outside Portland, during the 2014 PDGA Professional Disc Golf World Championships, Wysocki was left trudging up the steps of hole 7’s green at Blue Lake Regional Park to collect his heartbreak, while McBeth converted an uphill birdie to seal his third consecutive world title. So yesterday, as the two got set to embark on their first playoff outside Portland since that fateful day, Wysocki sat in front of the teepad on hole 1 of Milo McIver State Park’s Riverbend East Course and listened to spectators harken back those five extra holes. And instead of dwelling on the past, he used the moment to move forward. The mental gymnastics paid off and Wysocki emerged triumphant, taking home the Beaver State Fling win after a dramatic two-hole playoff to complete a two-stroke comeback. His final round 7-under par 54 at the East Course brought him to a 28-under par 216 after regulation, tied with McBeth after his 5-under par 56 day. Eagle McMahon finished in third place after his 7-under par performance brought him to a 25-under par 219 total, while Northern California native James Proctor threw his second straight 8-under par 53 to climb into fourth place. Paul Ulibarri’s 6-under par 55 in the final helped him crack the top 5 with a 20-under par 224 total. The extra frames were the culmination of a battle of wills between the sport’s two biggest stars at one of the season’s most popular events. As Wysocki and McBeth have been known to do for the past few seasons, the two rivals played yo-yo on the scorecard throughout the round. McBeth, opening play with a two-shot lead, quickly gave up a stroke with a bogey on hole 1. He then took it back with a birdie on hole 2, as Wysocki could only manage pars to start. The gap remained at two until hole 6, when McBeth added to his lead by hitting from 30 feet in the rough for birdie. Wysocki, who in recent rounds has been taking a few holes to warm up, finally hit his stride through the course’s middle section. He followed birdies on holes 7 and 8 with one of the field’s two eagles on hole 9, the infamous “Genius Hole,” after he canned a 70-footer from a hillside lie. “I really was feeling confident. 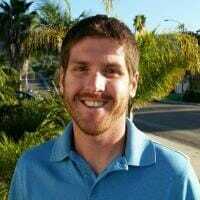 I’d made like a 50-footer on the hole before, so I was radiating with confidence in my mind,” Wysocki said. “I was using that confidence. I threw a good drive to put myself in position, and I just felt like I wanted to capitalize. The 4-under par run through three holes put Wysocki just one back of McBeth, as the two pushed with birdies on 10 and 11. And though Wysocki tied the affair with a par to McBeth’s bogey on 12, the momentum quickly shifted on hole 13. McBeth parked his drive and connected from 20 feet for the lead card’s lone deuce, giving an emphatic fist pump as plastic hit metal. Wysocki, meanwhile, carded his first bogey of the day at the most inopportune time. He was able to claw one shot back on hole 14, though, after McBeth carded his third bogey of the round on the 1,196-foot “Monster Hole.” Another Wysocki birdie on 15 — his sixth of the round — again knotted up scores with three to play. The 675-foot, par 4 hole 16 followed, bringing plenty of theatrics. After Wysocki put his upshot to the edge of the circle, McBeth was left with a look for the birdie 3 from about 45 feet left of the pin, but was boxed out by thick foliage. Undeterred, he lined up his putt, found a small window through the greenery, and connected. Wysocki answered to preserve the tie, but it was quickly broken. After landing his drive on the left side of the fairway, Wysocki was forced to throw an overhand putter shot to recover. He landed within 30 feet of the pin, to much applause from the ample gallery that followed the card. McBeth, though, was sitting with a long look for birdie from about 60 feet. He delivered a jump putt from his standard stance and it missed just wide right, leaving him a tap-in for par. Wysocki, though, issued a rare miss from the circle’s edge, clanging his Dagger off the solid red band that lined the Riverbend Discatchers. He took a bogey, and a one-shot deficit, into the final hole. Both competitors found themselves with difficult lies off the tee on 18, with McBeth’s drive landing directly behind a large tree about 100 feet from the pin. After taking several seconds to deliberate his method of attack, he took a knee and tossed a putter roller about 40 feet short of the basket. Wysocki, with his shot just in the low shrubbery of the same tree to the left of McBeth, straddled out wide and aimed for glory. So confident, in fact, that once he launched his putt he started sprinting toward the pin, certain it would land. But it hit low off the right side of the cage, leaving Wysocki with a tap-in par. McBeth, with a shot for the win now if he could convert on his own par, missed the approach to force a playoff. As play moved back to hole 1, the pair matched pars to take the sudden death showdown to a second hole. East’s 331-foot hole 2 saw both players taking high, backhand anhyzer routes over the trees that line the fairway and protect the pin. Wysocki put his shot on the downhill side of the sloped green, roughly 20 feet away from the basket. McBeth’s shot hit long on the high side, leaving him with a 40 plus-footer downhill to, more or less, continue the playoff. He hit low off the front of the basket and rolled down the hill, but made his comeback putt for par. Wysocki then cleaned up for the birdie and the win. The Beaver State triumph was Wysocki’s second on the PDGA National Tour this season, and his final round score represented a six-shot improvement over his prior 1-under par finish at East on Friday afternoon. That poor performance was one that he ultimately credited with the victory. Elsewhere on the leaderboard, Philo Brathwaite went bogey-free for a second day in a row to move up to sixth place, a finish he Nate Doss, and Steve Rico shared with 19-under par 225s. Josh Anthon notched a ninth place showing with his 18-under par 226, while Zach Melton broke into the top 10 at a National Tour event for the first time this season with his 16-under par 228. Devan Owens and Anthony Barela also tied for 10th. All eyes on the pro circuit now shift to Augusta, Georgia, where Pro Worlds begin next Wednesday, June 21. McMahon, who has now finished in third place at two NTs this season, left Oregon last night and was set to hit the courses at the Fort Gordon military base and the International Disc Golf Center today. While he was pleased with his Beaver State performance, he said he was looking to clean up both his release points and his mental fortitude as he preps for the main event. McMahon has set a personal goal of finishing in the top 3 in Augusta. And if he accomplishes that, he has a unique celebration in mind. Wysocki, who was the first repeat winner of the Beaver State Fling since 2006, now has his eyes on a more significant repeat as he aims for his second career world title. And while he’s bringing plenty of his favorite feeling — momentum — with him, he’s added another trait to his arsenal, as well. “It’s just such a good feeling to be able to do this right before Worlds,” Wysocki said. “…I feel like it’s exactly what I needed. I’m 100 percent confident, and as long as I’m 100 percent confident, that’s all I can ask for going into Worlds. Comments on "Wysocki Outduels McBeth For Beaver State Playoff Win"